Click here to enter your CAT 2018 scores and percentiles and find out what B-schools will shortlist you! Any possibility of getting a call from anywhere? Check Quant cutoffs because New and Baby IIMs is possible. Should you be interested in purchasing the course, please Whatsapp us on 9321346317 to get Rs 499/- off on the course! Cracking CAT is not the only thing you need to do to get into a b-school. You don’t have to wait for shortlists to come to start your preparation for the second round. Make sure you convert your calls by preparing well. Let us help you prepare better. We are pretty sure you want to stand out and bag a seat in a top b – school. So how do you stand out? The sure shot recipe to MBA Interview success? Join the MBA Interview Prep Masterclass with Deepali Naair. Deepali Ma’am, Interview Coach, Recruiter, and visiting faculty at B- Schools, with 23 years of Corporate Experience, shows you how to get into your dream b – school! Check out the course, here. Bro where r u studying mba now?? .i am asking this because i have similar academics scores.and now i am preparing for cat . @Arvind – borderline for IIM I, K, S, SPJIMR. MDI, IMI, IMT G, MISB Bocconi, GLIM, TAPMI should happen. @Samarth – 3 to 5 old IIM Calls possible. Which colleges to appl? Also should I consider retaking CAT? We need information on your category. If general, then reconsider taking CAT, since you’ll be getting calls mainly from the baby IIMs. If from other categories, might expect calls from few of the top IIMs. All Coleges except iim b.. Please let me know some options. which one might i get? Guys is every one got lower %ile in VARC. Section for slot 2? You Will get calls from Baby IIMS. IIM Indore may also be possible. Do not join any college if u didnt get into top 10 colleges as you have excellent profile. Good LUCk. Thanks Nikhil. What do you think are the tip 10 colleges in the current scenario? IIM ABCLKI, SPJAIN, XLRI, FMS, JBIMS, IITB. I have not got any calls yet. I am very anxious now. Plz guide. I had posted my profile above. I want to know the colleges i may get calls from if possible. Fresher in final year of B. Tech with CGPA about 7.8 and percentage equivalent about 71%. Applied to MDI, FMS and SP Jain before CAT. What schools should I be looking to apply to now and what calls can I expect? Great performance. slightly low overall percentile. New and Baby IIMs quite possible. Old IIMs out because of 12th score despite normalization. MDI, IMT G, IMI, MISB Bocconi, Welingkar, TAPMI, Somaiya, MICA (if you take MICAT) should happen. FMS and SPJIMR looks tough to be honest. please suggest what all colleges can i apply and expect a gdpi call? Try IMT ghazaiabad as well. KJ Somaiya, MISB Bocconi, GIM, IFMR Chennai, Welingkar, GLIM, TAPMI, FORE, XIM Bhubaneshwar. General, Female, No work exp. Some New IIMs, all baby IIMs, IMT (probably). Hard to get a call from big 6, but as you are not an engineer, the diversity angle might fetch you a call from I, K and at best L.
Since you fall under the General cateogy, getting calls from the top IIMs will be difficult. May expect calls from the baby IIMs. My personal advice will be to prepare again, since you can gain work experience that will be counted in the coming years. Can I expect calls from tapmi or GIM or GLIM or IMI? GLIM Gurgaon possible. GIM and IMI looks tough. What about IMI B&FS OR TAPMI BKFS? Need an update on the sectional scores and percentiles as well. With the work ex, percentile and the female attribute, might expect calls from C. A, B and FMS sound difficult. Definite calls from I, L, K, and S.
You’ve a lot of interviews lined up I guess. Slim chances to get calls from I, L and K, considering the female factor and academics. A, B, C and FMS, almost no chance. Can you suggest me some B-schools to apply for? Also, what are the chances of making it into the IITs and IISC? will I get any of the IITs ? I am aiming for DBE/MFC DU. What are my chances ? Will the low sectional in DILR be a issue in the final selection ? I have applied to FMS, MDI, SP JAIN, IMT and IMI Delhi…..Any chances in these as well as other colleges? You should get 2-3 old IIM calls and most New and Baby IIM calls. SPJIMR looks tough. IITs possible. Should I apply to IITD DMS, is it a good profile for a convert ? DI percentile is low but otherwise TAPMI, MISB, GLIM, Welingkar, Somaiya, IFMR, IMT Nagpur, GIM, FORE, BIM Trichy etc. are options. IIT Delhi looks tough. We believe you have a chance to get calls from Baby and a few New IIMs. Slight Outside chance from IIM I and K. MDI, IMT G, MISB Bocconi, IMI, Welingkar, Somaiya, IFMR Chennai, MICA (if you’ve taken MICAT) are possible. SPJIMR will depend on your profile. New IIMs, Baby IIMs, Couple of Old IIMs where VA/RC cutoff isn’t present is possible not guaranteed. Few IITs, NITIE, IMT Nagpur, MISB Bocconi, IFMR Chennai, Welingkar, MICA (if you’ve taken MICAT), Somaiya. You have decent acads and should be open to taking CAT again given that you have only 6 months work experience. If you want to do a MBA for sure this year then whatsapp us on 9321346317 and we would help you more. What are my chances? From which colleges I can expect a call? All new IIMS, NITIE, MDI, Baby IIMS.If you did not get into top 10 colleges.Give a try next year. Good luck..
Can I expect a call from ABC?? nd can I convert?? This cannot be answered without a percentile. Conversion is even more hypothetical a question. If you haven’t taken CAT just focus on preparation and don’t waste time. @sur.m91 – Your DI percentile is low. You should seriously consider applying for EPGP/PGPX. Because the schools you will get at 80 percentile overall will give you schools who may not be able to upgrade your current CA salary in a big way. Should I be even considering 2 years MBA? @sur.m91 – Maybe not. You will struggle with shortlists during placements too despite your CA. Work experience – 6 months in credit financing. Please tell from what all institutes I can expect a call and also the suggest the chance of conversion. Cannot suggest anything on conversion. at least 1-3 old IIM calls you can expect – most likely IIM I and K you should get. MDI, SPJIMR, FMS, New IIMs, Baby IIMs. Obviously most schools in the lower order of general ranking and demand you will get. Great acads. Should consider taking CAT again. If you want to do MBA immediately, whatsapp us on 9321346317 and we may have a few suggestions. As a female candidate with work-ex, IIM Indore is possible even at 93.66. IIM K outside chance because weight to percentile is higher. Maybe a few New and Baby IIMs, MDI, IMT-G, SPJIMR, NITIE, IMI, MISB Bocconi, Welingkar, Somaiya, MICA (if MICAT taken or will take). from which colleges can I get call? You could apply to colleges like IMT G,Some of the IITs, XIMB, IMI Delhi,MICAT (if answered) and may get a call from few of the baby IIMs. What calls can I expect and where should I apply. I have applied to almost all tier 1 and 2 and a few tier 3 institutes so please feel free to state as many institutes as you can. You have good 10th, 12th and B.Tech. percentages, and have scored 95+ as well, so you might get calls from some of the New IIM’s, and all the baby IIM’s. Plus, you can expect a call from IMT and some IIT’s as well. Can i expect any calls?? New and Baby IIMs should happen. Maybe even IIM I,K,S assuming sectionals are fine. Some IITs and NITIE as well. Pretty good chance. Not definite because number of seats are fewer. But very good chance. Well i am from Pune university and the overall topper at 74%, still a concern? Suggest some colleges to apply???? NC- OBC category … possibilities ? What college can i expect ? Considering category as general. You will probably get a call from IIM K an IIM I. You can expect a call from all the new and baby IIMs, IMT and MDI as well. And IIM Shillong as well. Work Experience – 21 months. Im a GEM having 95 in 10th, 87 in 12th and 77 in grad. What are my chances for new IIMs? Which all colleges can i expect a call from? Will FMS give me a call from 2nd round? What about the chances of conversion of these colleges which will give me a call for next round? FMS is possible under NC-OBC. You should get calls from all 6 old IIMs under NC-OBC. Expect calls from I, L, K. Might not get calls from A, B, C.
FMS yes, but conversion will be typically difficult. Focus more on the IIMs you get the call from. Chances of conversion from Indore are high. Kozhikode and Lucknow (PGP and ABM courses) will be a tough. Hi Devanshu, you seem to have missed the NC-OBC bit. @team InsideIIM, please provide the appropriate answer to my query! I am a member of Insideiim student team. IIM A looks tough, but on a lucky day, you may get a call from B and C. L, I, K, S and all other new IIMs will definitely call you. FMS might give you a call, but conversion is very difficult as they give a very high weightage to the overall Cat score. You’ll also get calls from SpJain, MDI Gurgaon, IMT, and other tier-1 colleges, if you have applied to them. For further queries, feel free to ping me. The article shared by InsideIIM shows cutoff for most of these colleges to be 90% minimum and my overall percentile is 84.35.
please let me know the colleges i may get and i can apply? What could be the possible Call target? @Mayur – already answered before. @Shobhit – IIM I, K, S (all 3 borderline because you’re a guy), SPJIMR, MDI, IMT G, IMI, New and Baby IIMs, MISB Bocconi, Somaiya and everything below @shrey – You should be hopeful of at least 4 old IIM calls. New and Baby IIMs obviously will happen. FMS also possible. IIM I, K, S borderline – good chance for New and Baby IIMs. MDI, IMT G, IMI, MISB Bocconi should happen. Everything lower too. 2 yr work ex in Deloitte consulting. Would I be able to convert Indore Kozhikode calls with my percentile? (If I get a call), what else can I realistically convert? Given you diversity, you should be in a good position to convert. However, no one can guarantee that because the interview has a big weight in it. But you have given yourself the best chance to convert both I and K. Please consider SPJIMR too if you have applied. MDI will also happen. SPJIMR I have applied. 🙂 Would want IIM I or K as the first preference though. Do I stand a good chance for L (conversion not call)? L even call is not very sure. IIM I and K should happen. Good overall percentile but data insufficient to give a proper answer. You should expect IIM calls unless sectionals or acads are very poor. Could you please suggest the colleges? @rahul – IIM I, K, S borderline – good chance for New and Baby IIMs. MDI, IMT G, IMI, MISB Bocconi should happen. Everything lower too. @Priyanka – IIM I, K, S (as a female candidate), New and Baby IIMs, MDI, IMT G, IMI, MISB Bocconi and everything lower. @Suraj – MDI, IMT G, IMI, MISB Bocconi, Welingkar, Somaiya, Baby IIMs (check DI Cutoffs). @Anjali – IIM I, K, S (as a female candidate high chances of conversion), New and Baby IIMs, MDI, IMT G, IMI, MISB Bocconi and everything lower. @Siddharth – I’m afraid the percentile is low. Given your good acads, you should consider taking CAT again. IIM I, K, S, NITIE, SPJIMR, MDI – Fabulous profile so will convert if interview prep is good. If you are a guy then IIM I, K, S are borderline, New and Baby IIMs, MDI, IMT G, IMI, MISB Bocconi and everything lower will definitely happen. I’m female…. Can I expect a call from iim I, k and s? Hey Fazil, sorry for the delay. Though you have low sectional in quant, but on a lucky day, some new IIMs might give you a call. Mostly the baby IIMs will call you. Plus, the colleges that don’t consider sectional are: BIM trichy, SJMSOM, IIT Kanpur, JBIMS and IMT Ghaziabad. The chances seem slightly bleak. Am I even eligible for one good college ? CAT score is not bad. However, your 10th,12th score, work ex and other factors also need to be specified. This was my second and last attempt. I don’t have a job and dropping a year will only worsen my profile. Can you please suggest colleges that fit in this profile? 2 things: Taking a gap won’t worsen your profile, if you keep doing something worthwhile during that gap. I had taken a gap of a year and I am in IIM Bangalore now. So don’t worry about that. Second: you have a great Academic profile, plus you are a jon-engineer female candidate. So, you can convert good colleges, including IIMs, with even 93-96 percentile as well, so it’s worth giving another shot. Having said that, waiting does take a toll on our minds and I might not have gone for a third cat attempt myself, so if u still want to go for a college, try applying to Sjmsom, welingkar, BIM Trichy, MiSB Bocconi, Great lakes etc. Also, appear for CETs of different states, especially Maharashtra, as it will open some new and better doors. You should consider if you want to take CAT again. You have 42 months of work-ex which means you must be earning decently. At this percentile the schools you are likely to get are not going to be able to give you a big lift in compensation as per our analysis. Maybe you should look at EPGP/PGPX at IIMs and other schools next year. Will i get any call? Baby IIMs there is a chance. some IITs would be another. IIM I, K,S possible given your profile and acads. New and Baby IIMs should happen. MDI, SPJIMR, IMT G, IMI should happen too. Is this profile good enough for IIT , FMS and NITIE?? If you are a female candidate then IIM I,K,S should be comfortable. NITIE, SPJIMR, MDI, IMT G, IMI, MISB Bocconi should also happen. You could apply to colleges like IMTG, XIMB, Tapmi, IMI Delhi. What’s your background? please tell from which colleges can i get call ? Please let me know for private colleges and iit as well. You have chances from private colleges like TAPMI, GIM etc. However, sectional cut-off in VARC could become a challenge. Wish you the very best! Should i prepare for next year ? As a SC category candidate you have plenty of opportunity with a little bit more prep – you should definitely wait if you can and try scoring a 80%ile plus which will enable almost sure shot entry into the IIMs. Your UG might be an issue, but you may get a call from the baby IIMs. Also apply to colleges like XIMB, IMT, Tapmi. Expect calls from some of the old IIMs, specially iim I, L, K. You have a hood academic background which will be helpful. Also, calls from New and baby iims are surely expected. You may consider spjain, IMT, ximb, NITIE, mdi as well. Apply to colleges like IMTG, XIMB, provided you give a legit reason for your UG score. Am I meeting the minimum LRDI cutoff for Ximb? What is your current salary? if you’re already earning 6 Lacs plus then most of the schools you are likely to get admission in will not give you a big salary increase. You should reconsider taking CAT again or even trying to do a EXEC MBA or PGPX/EPGP from the IIMs. Look at profile based schools like MISB Bocconi and IFMR Chennai (our partner schools) if they suit your purposes. What is your background and work ex? IFMR, IFIM, MYRA, BIMTech Noida etc. I have got 82.04 percentile in cat 2017. Which colleges should I target? Apart from the ones above, IIM I, K, S, SPJIMR will also likely happen because of your profile. IIM I,K,S – Acads are not too strong so borderline for all 3. SPJIMR decent chance. MDI, NITIE, IMT G, IMI would be others. Kindly advise the expected calls. Overall : 92.9, VA : 85.91, DILR : 93.58, QA : 91.23. 10th : 95%, 12th : 95.2%, bachelors in economics from DU with 66.84%. Graduated in may ’17 with no work ex. Slim chance from some IIMs (like IIM Indore given your profile) or some New and Baby IIMs. IMT G, IMI, MISB Bocconi, Welingkar, Somaiya, UBS, TAPMI, GLIM would be others. Can i expect any calls? 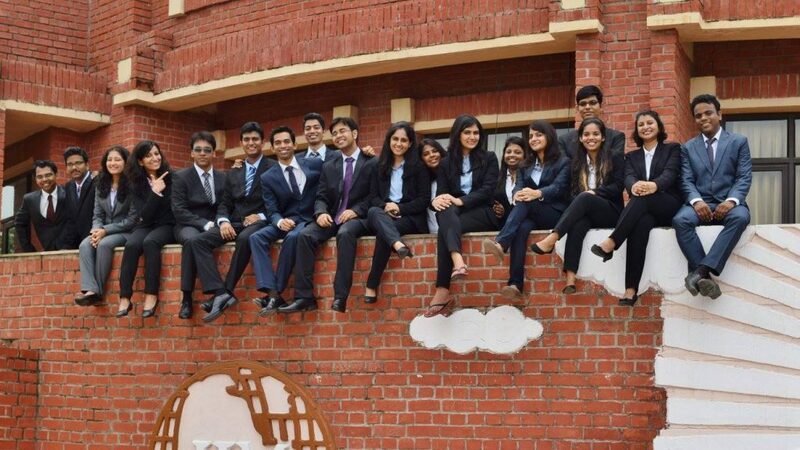 Decent profile and with points for gender diversity you may see a couple of IIMs call you. The big problem is your 10th std score. Look at MDI, IMT, IMI, MISB Bocconi and others too in case IIMs don’t work out. 98.9 overall, verbal 99.54. any chance for FMS ? Depends on your category. If you are a general candidate, then the chances of converting FMS (even if you get a call) are very slim. FMS gives very high weightage to CAT scores. You will get calls from many other colleges. Start preparing and good luck! Individual cut off would be a problem for IIM cutoff.Also with such a high work experience then it’s better to apply for GLIM if IT Industry is your background.Options like IMT,SP Jain and further options such as GIM,TAPMI. 4 years of experience in IT. Individual cut off is going to be hard to get through IIM colleges.Options available are Imt Ghaziabad,SP Jain,GIM and even TAPMI. If u wish to continue in IT Industry then GLIM is a good option,but the industry is facing a slowdown. Any chance for IIT B and NITIE?